All of my Christmas decor is down and my house feels so empty and barren! I actually love the feeling of simplicity to start the new year off. 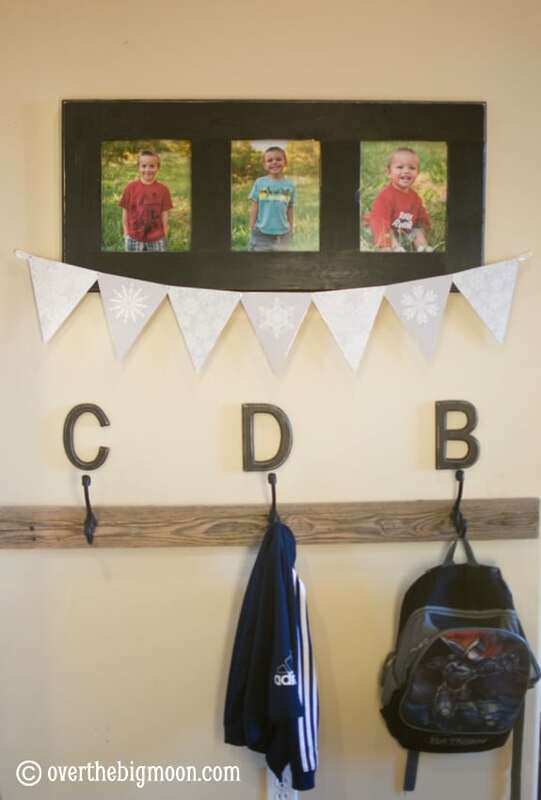 I did want a bunting for my entry so I created a snowflake bunting that can be mix and matched to create several different looks. 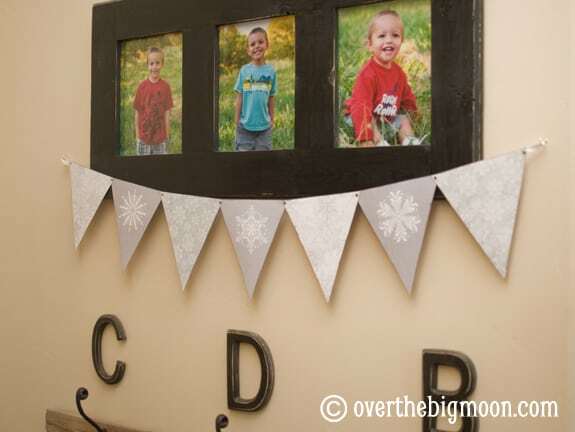 You could print just the single snowflakes and make them into a bunting, or print the same patterned snowflake and make a very simple bunting that is all the same. I alternated both the simple snowflakes and the patterned ones. 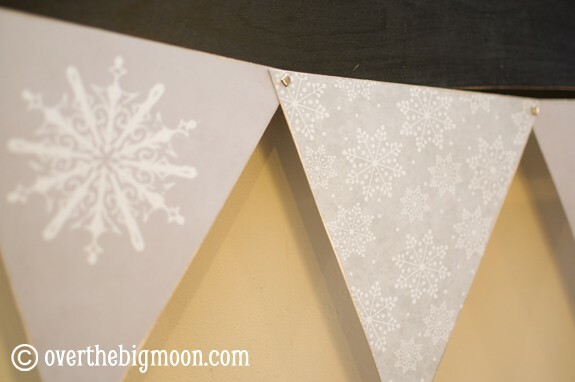 To make your bunting print the snowflakes you want and cut them out. I inked around the edges of mine with a silver stamp pad and then attached them together with little brads. To hang it I used a little bit of ribbon and looped it over and stuck it through the brad on the back. 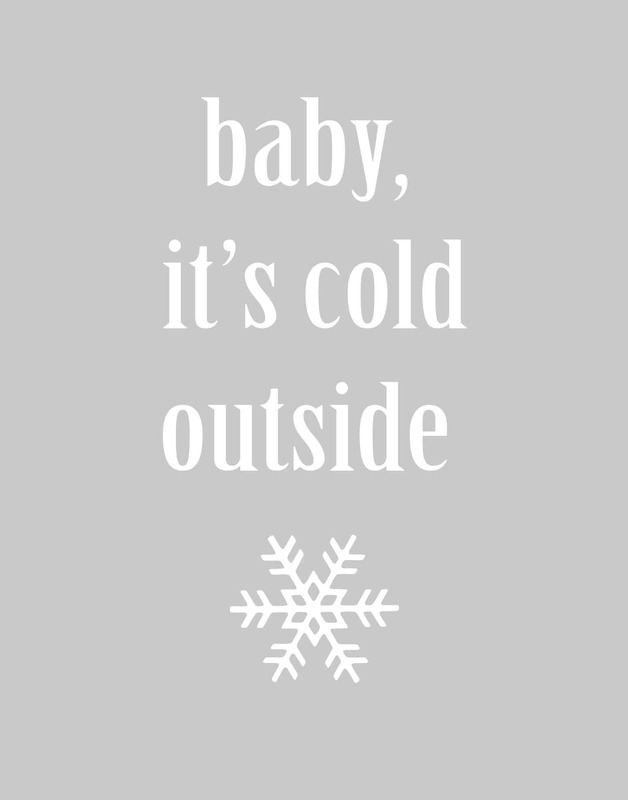 I wanted my “baby, its cold outside” printable to match so I made it the same gray as the bunting. 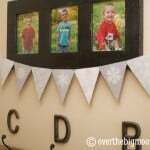 You can download the gray printable in both 8×10 and 11×14 to match your bunting. Even though I just put my winter bunting up I am so ready for winter to be over! I need some heat around here! I’m freezing!!! Hope you all have a great weekend! Thank you so much for this free printable! 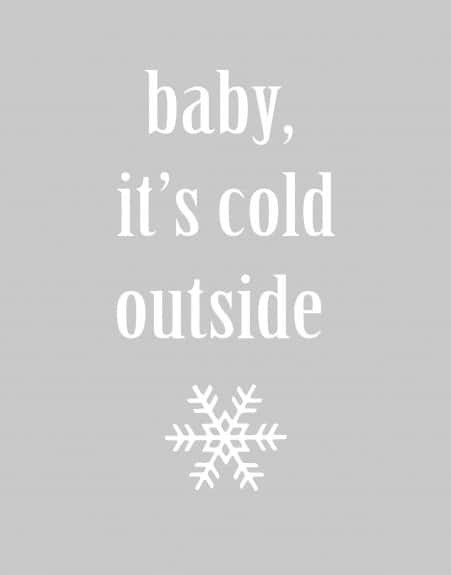 I’m throwing a friend a “Baby It’s Cold Outside” baby shower for her 2nd child in a few weeks and this, printed on my shimmery white cardstock, will be perfect to hang over the fireplace. I must be doing something wrong. I can’t find a download button? I’m using a Mac if that matters. We are having problems with our download manager. We should have them all fixed in the next few days! So sorry! Sorry – the downloads were down for a few days while we redid the download manager system! All the downloads are back up and working! Can’t wait to use this is my girl’s “Frozen” play area! Thanks. Hi! I just found your site and I love it! I’ve been d/l some of your great stuff. 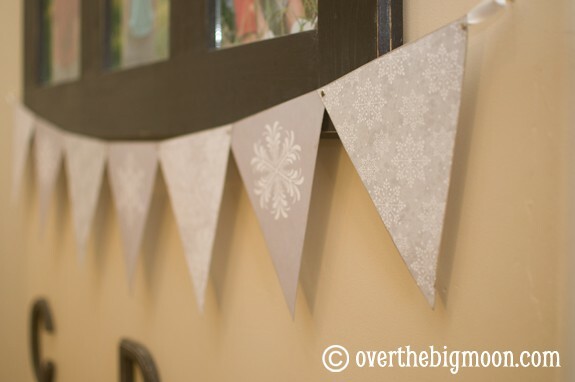 So far the others have worked great but the mix and match snowflake bunting isn’t working. I get a “download-manager-files.txt” that opens an empty text file. If you could, I would absolutely love to d/l this…this is a bunting I would love to make. Thanks so much for your wonderful site! I swear there is a gremlin in our file manager 🙂 Its fixed!